On Friday last week, our client Mike Chapin very graciously invited my colleagues and I to have dinner at his restaurant JAR in Central. He asked us along as his guests to celebrate the approval of his and his wife Natalia’s Hong Kong investment and dependant visa applications a few weeks earlier. Due to travel and other (family) commitments elsewhere, only half of our Hong Kong based team could make the dinner in the end, but as it happens Amy, Ruby and I were the core ‘three’ on their applications so the celebration was warmly enjoyed as we all had had skin in the game of their hugely justified Hong Kong visa approvals. Over dinner I asked Mike if he had any objection to me telling his visa application story on this Blog as it’s a shining example of how the Hong Kong Immigration Department view an investment visa application in the context of joining in an existing food and beverage business here. It also speaks to some gutsy entrepreneurism that has been a privilege to behold. He kindly agreed for me to parlay his Hong Kong immigration experience – so here we go. Mike has a long and seasoned background in F&B management in New York, working with and for, at various points in time over the last 17 years, such organisations as TGI Friday’s & Hooters to name just two. For those of you familiar with the Jagermeister Tap Machine found ubiquituously around Hong Kong, Mike holds the patent for this PT Barnum-esque drinking show, although he’s quick to point out it did not make him fabulously wealthy, as has been the lot of so many inventors down the years. So then, Mike is well qualified to own and run a restaurant (in the US at least). It turns out that Mike owns an especially large pair of cojones. Given that he and Natalia are at that stage in their lives where they believe their days should be filled with fun and adventure, they determined it would be a hoot to put at risk a considerable sum of their hard earned retirement funds, shift their lives to absolutely the other side of the world, embrace an economy that they had no prior experience with whatsoever, and buy a business that operates in arguably the most competitive industry that Hong Kong has to offer. Stuff that Hong Kong entrepreneurs are made of! The Chapins have always loved Hong Kong having visited a few times previously. So when the JAR restaurant group (3 properties) found itself struggling to keep itself together in July last year, Mike had a real good look at it to see if it had any legs with his money and experience invested into it. Mike determined that JAR in Central did, so he bought it (not a distressed sale either, I hasten to add). The other 2 properties were, on the other hand, subsequently closed by the owner. In the process, 14 full time and 3 part time local jobs were maintained through the investment of the Chapins’ money. So, even before he’d had time to think about the immigration implications of his investment decision, he had started down the path to making a substantial contribution to the economy of Hong Kong – which is what the investment visa approvability test calls for – reflected in a 7 digit cash investment in the HKSAR to boot. JAR is an 88 seat western restaurant specialising in Western/Mediterranean cuisine. 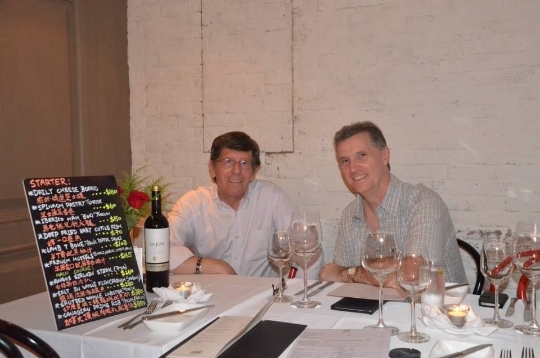 Mike’s overarching mission is to combine menu variety, atmosphere, ambiance, special theme nights and friendly staff to create a sense of ‘place’ in order to reach the goal of overall value for money when having a dining experience. 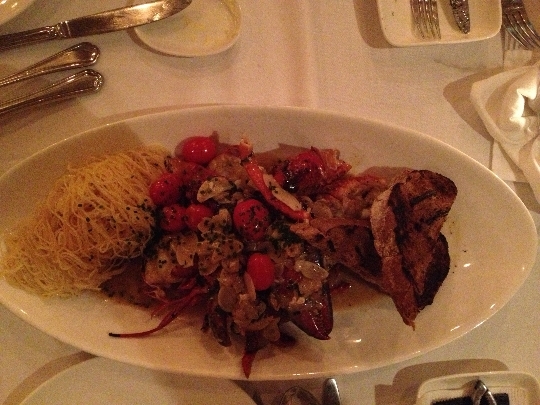 JAR’s concept is “wonderful food and wine, reasonably priced and knowledgeable service in an outstanding atmosphere”. You can read Ale Wilkinson’s Dim Sum Diaries 2011 JAR Review here to get a sense of what Mike was buying into. As Mike places great store in employee involvement and a sense of ownership of the brand, somewhat remarkably, he has pulled off the concept of JAR as a family business, with his staff being his lovingly adopted sons and daughters. But right at the outset, he needed to manage and build the business remotely from New York. No mean feat. After a bit of interim shuttling between NYC and HK, Mike formally instructed us to commence work on their visa applications in November. We filed in December and had the first request for further and better particulars from ImmD by the end of January. As Mike had prepared an excellent bundle of documents in response to the Checklist that we had originally crafted at the outset of our instructions, ImmD did not ask for too much more from us when they responded about 5 weeks into the process. Essentially, all they were looking for was up to date banking information, recently updated business registration documentation and the latest filings with the Registrar of Companies. There was also a bit of housekeeping needed in relation to a new passport that Mike was in the process of applying for. 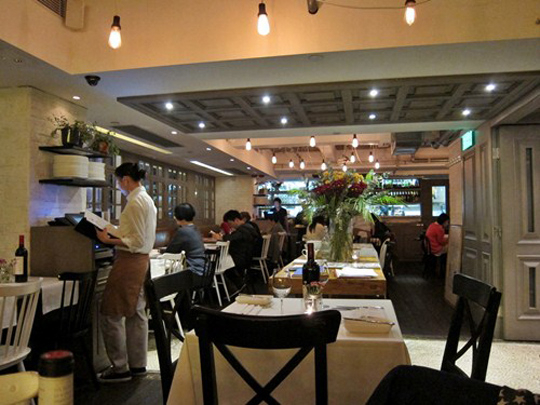 Essentially, it appeared that the Immigration Department were reasonably satisfied with the bona fides of the business and the commitment to Hong Kong that the Chapins were demonstrating in their purchase of their restaurant. To me (at least) it was patently obvious that they were making a substantial contribution to the economy of Hong Kong. We filed the 2nd submission with ImmD on the 6th of February. Then nothing more… but the wait. 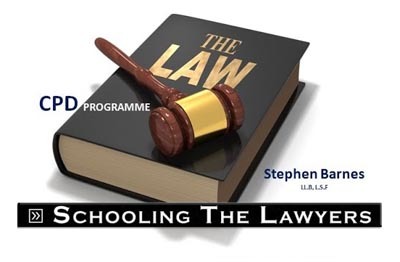 A couple of calls to the Immigration Officer tasked with the case in March and April were met with the news that their applications were in the queue for final case assessment so, as we always do, we just went back to waiting. On May 22, we received the fax from ImmD that their visas were approved. We collected their visa labels soon after and sent them to New York poste haste. 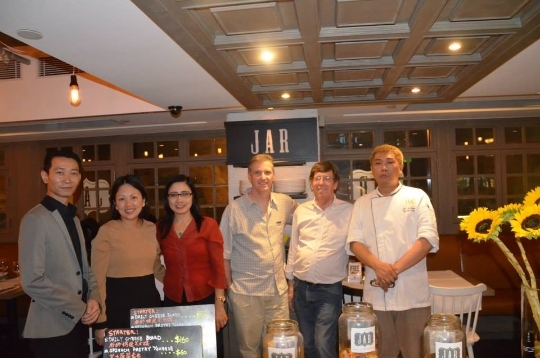 On the 26th of June, some 11 months after buying their business, they finally arrived, in Hong Kong – to manage JAR in person! 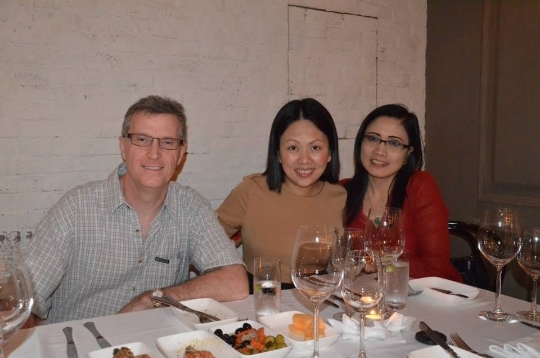 At the dinner last week, Mike told us about the exceptional service he and Natalia received from the Immigration Department when they went for the Hong Kong ID card appointments too. They were gobsmacked that it took only 20 minutes to complete all the procedures – in and out, wham baam, thank you maam. Five months for their visas. Less than half an hour for their ID cards! 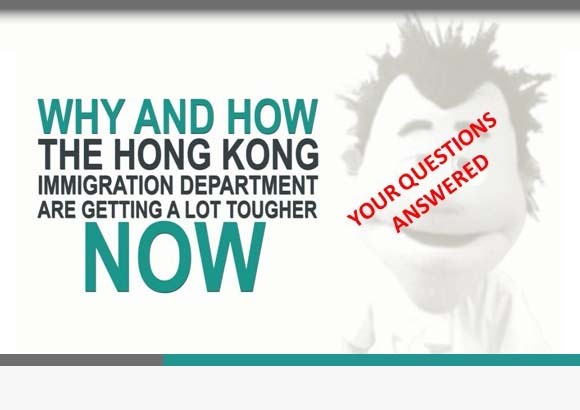 Can an offshore company sponsor a Hong Kong employment visa application?